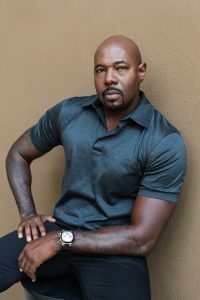 Studio City, California – The Motion Picture Sound Editors (MPSE) today announces that it will honor Antoine Fuqua with its annual Filmmaker Award. The director of such films as The Equalizer (1 & 2), The Magnificent Seven, Southpaw and Training Day, is being recognized for his outstanding contributions to the art of cinema. He will receive the award at the 66th MPSE Golden Reel Awards ceremony February 17th in Los Angeles. In 2018, the MPSE presented its Filmmaker Award to Kathryn Bigelow. Past recipients also include Guillermo del Toro, Sam Raimi, Darren Aronofsky, George Lucas, Ang Lee, Michael Bay, Steven Spielberg, Clint Eastwood, Brian Grazer and Gale Anne Hurd. Released earlier this year, The Equalizer 2, reunited Fuqua with Denzel Washington in his signature role as Robert McCall. Previously, he directed The Magnificent Seven, a remake of the 1960 classic, the boxing drama Southpaw and the smash hit The Equalizer. His 2001 film Training Day established his credentials as a master of action while earning an Academy Award® for Denzel Washington for Best Actor, and a Best Supporting Actor nomination for Ethan Hawke. He also directed the films Olympus Has Fallen, Brooklyn’s Finest and King Arthur, as well as the blues documentary, Lightning in a Bottle, executive produced by Martin Scorsese.